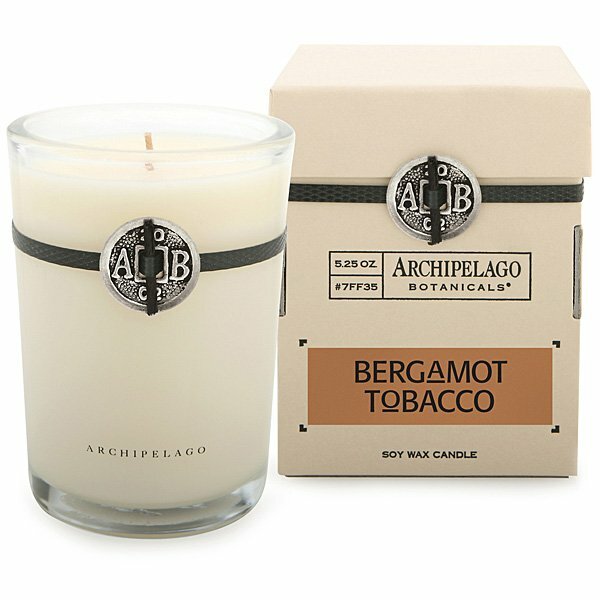 Archipelago Bergamot Tobacco Candle exudes bergamot and sweet tobacco for a masculine, sweet scent. Archipelago Signature Boxed Candles feature Archipelago's decorative “signature” coin, are blended especially for the home, and are hand poured with a premium wax blend containing more than 70% natural soy wax to burn longer and cleaner. Try a Bergamot Tobacco Scented Candle today!